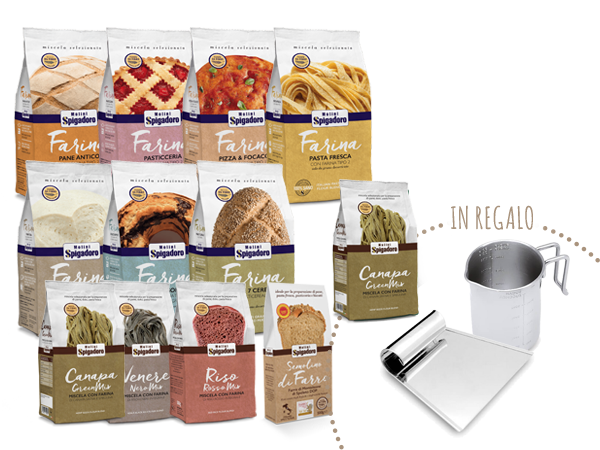 Molini Spigadoro Box - choose your favourite! 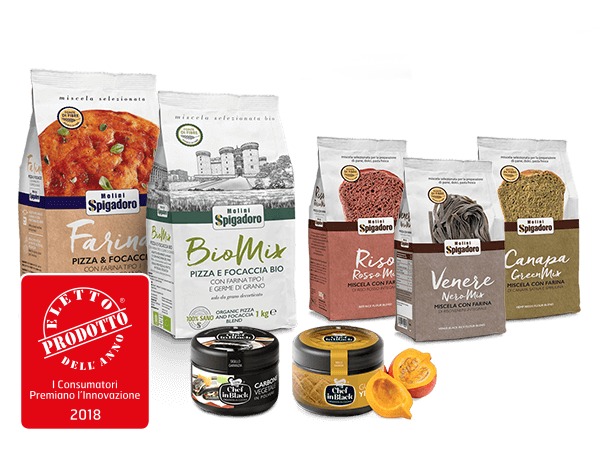 Molini Spigadoro Boxes have been designed to bring together an assortment of themed products, all made with the highest-quality raw materials, innovative production processes and added nutritional value. 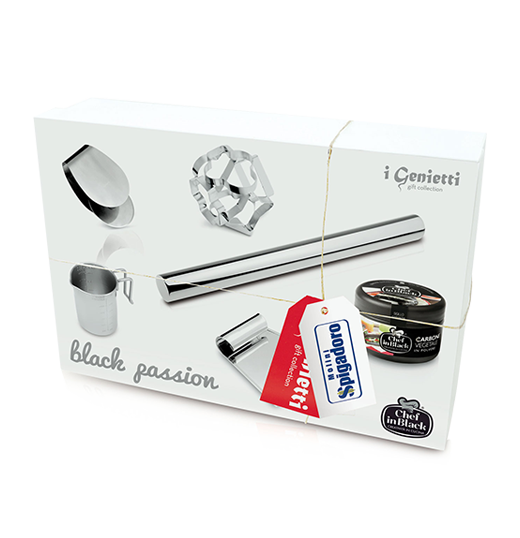 The perfect, original gift for foodies who love cooking or want a selection of products to give free rein to their creativity in the kitchen with a focus on genuine, wholesome ingredients. 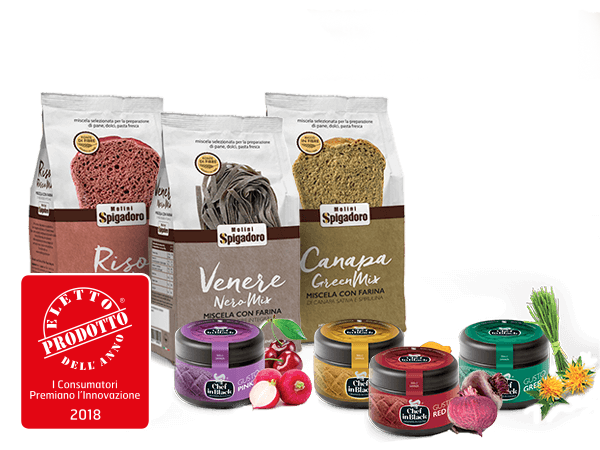 Natural flavouring with colouring properties Creativity in your dishes. 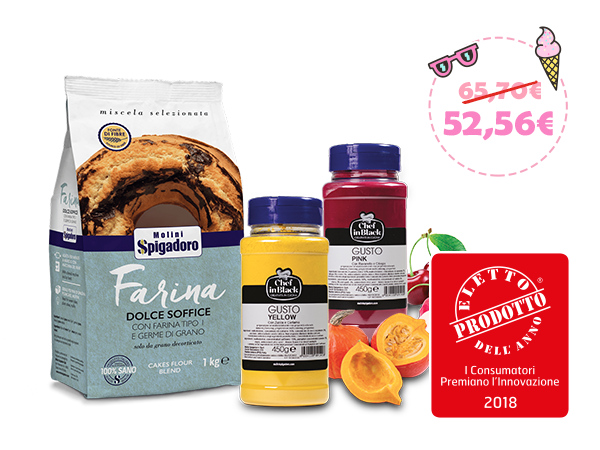 From fruit and vegetables, flavour and imagination. 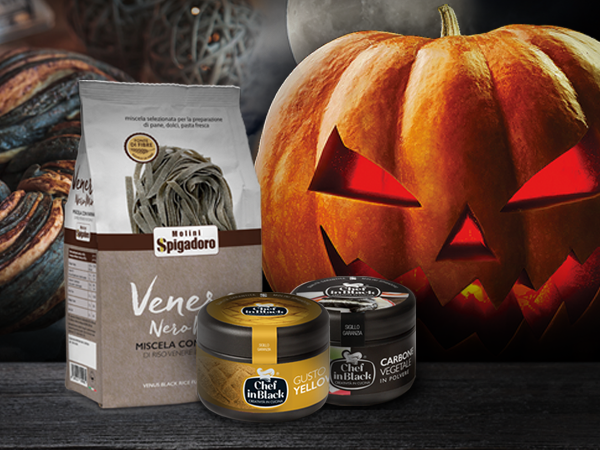 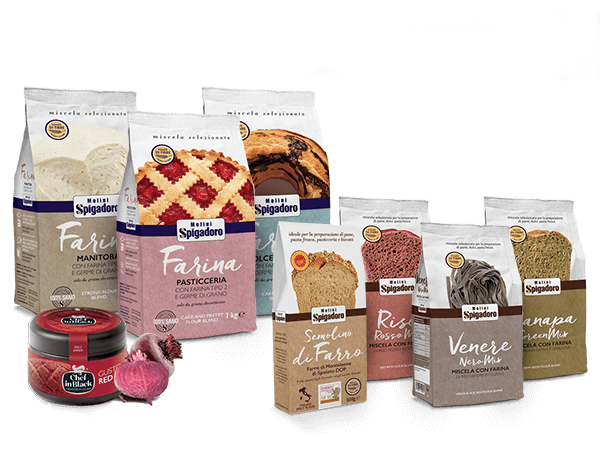 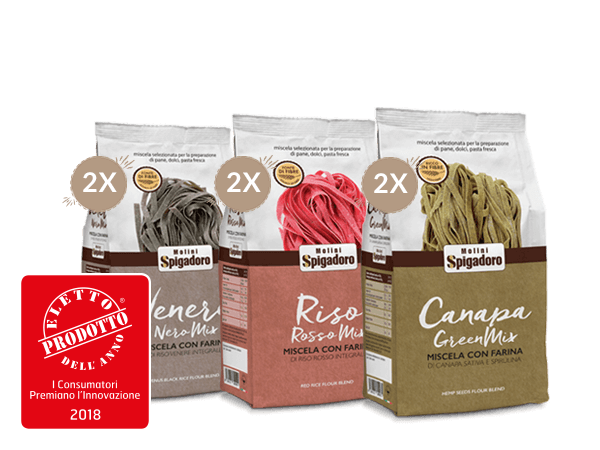 Mix of special flours to innovate in the kitchen, fibre-rich products from the very best Italian growers. 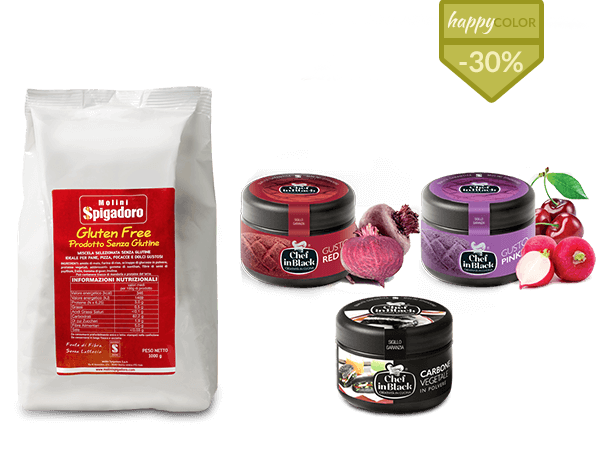 THE BOX INCLUDES: Light Cake Flour Mix – 1 Gusto e Colore Pink 450 g. – Gusto e Colore Yellow 450 g.
Dedicated to anyone who loves creating recipes with high-quality ingredients, Molini Spigadoro Boxes contain products for all tastes and requirements. 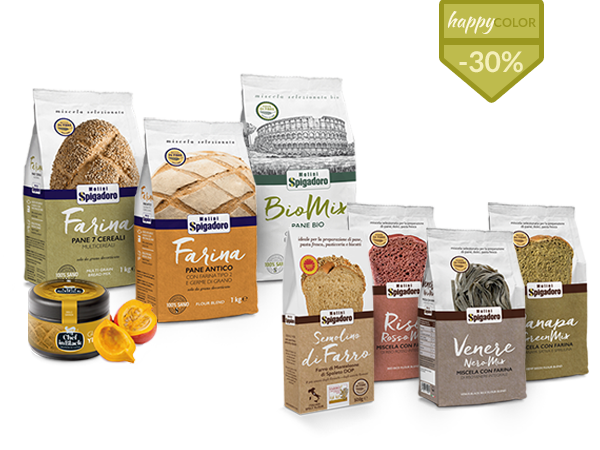 An assortment of exclusive flours and products which are ideal for producing oven-baked goods, cakes, pizzas, bread, pasta, and creative, gluten-free recipes. 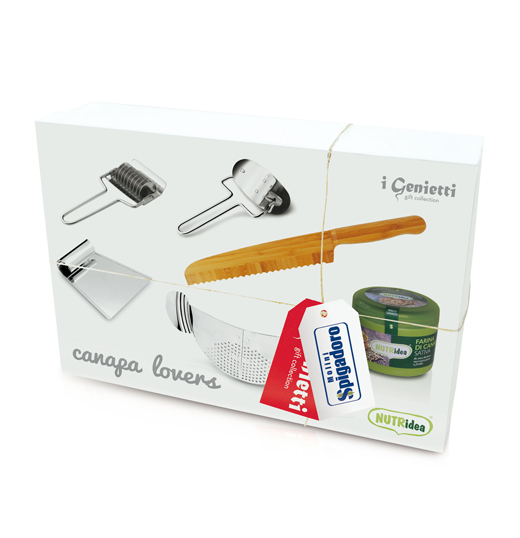 The unique and innovative quality of Molini Spigadoro products make these gift boxes extra-special and one-of-a-kind.